New Ads from Celcom - Malaysia. I dont quite understand about this ads though. 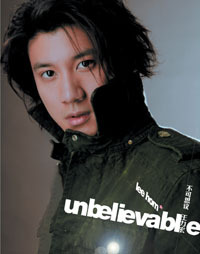 So this girl was bumped into Leehom, she screamed like crazy.. Leehom left. 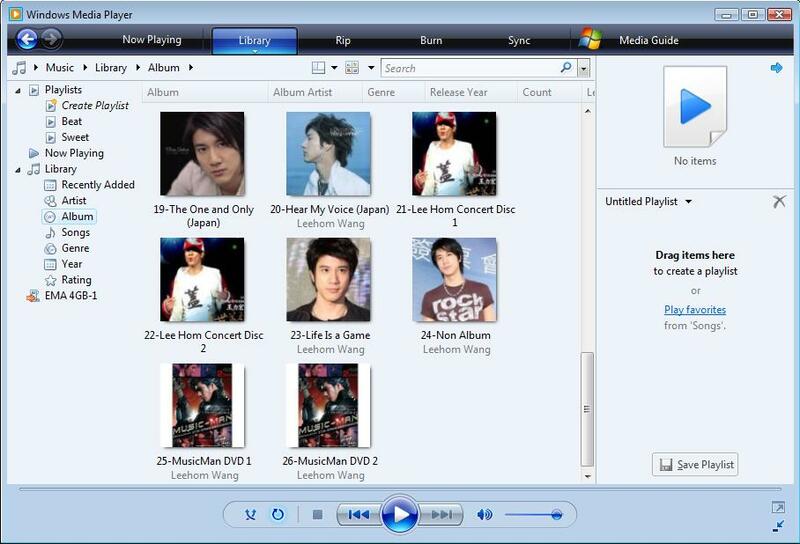 And then she suddenly forgot all about Leehom when she found her modem? Is that what it's all about? I dont get it. 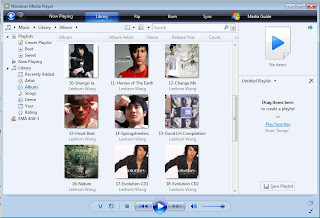 Coz if I bumbed into Leehom like that.... I think I'm not even aware whether I actually live or die. LOL!! 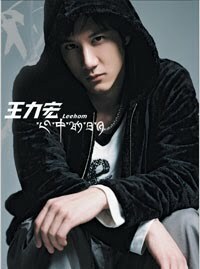 So .. this was the first picture of Leehom that I saw and paid attention to. I was in a taxi in Taipei and saw this super duper huge billboard on the way back to hotel. 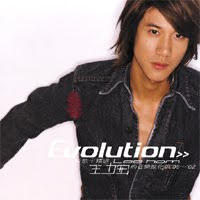 The thing was, I was not his fan back then, I didn't even know who he was, so nothing special. 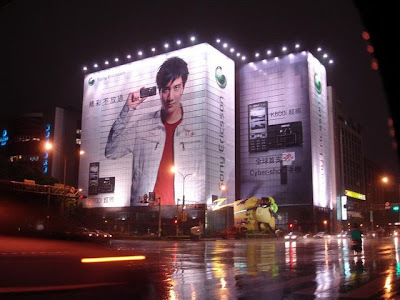 It was just a huge billboard with a handsome face on it. Today I'm glad that I didn't like him right away just by looking at his handsome face like that. Actually, I didn't think he was that handsome.. 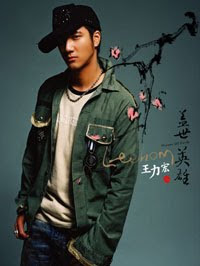 It's his songs, his voice, his works and sometimes I think it's also because that he sings in language I don't understand! LOL. 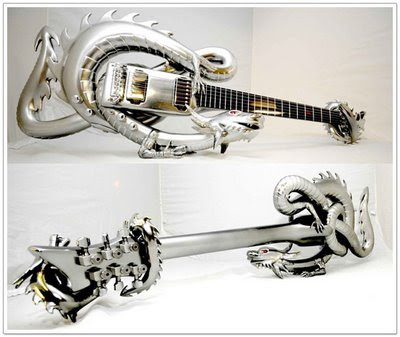 Anyway.. it's definitely not love at first sight. 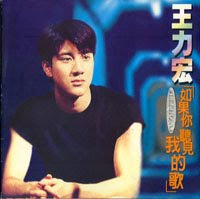 Lyric quoted from "Forever Love"
If you like his songs, buy the original CD at stores or online. 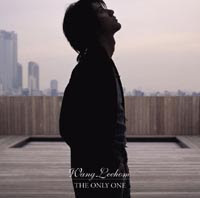 If you like his songs, go buy the original CD at stores or online. I had a few hours free this evening.. so I went browsing and begin to type at the google seach bar : "blogger Wang Leehom" Oh yeaa.. 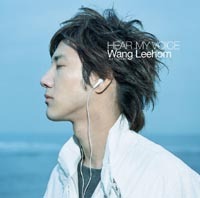 I wanted to know how many blogs about Wang Leehom out there, and what other blogs wrote about about Leehom.. I came visited some of them. Some were really good with best collections on Leehom stuff, like this one for example: HOM-e (planned to copy something from there and put it here..LOL. The blog owner allows it as long as there's proper credit to the source.. of course) and some were not... (sorry, no links here... haha). 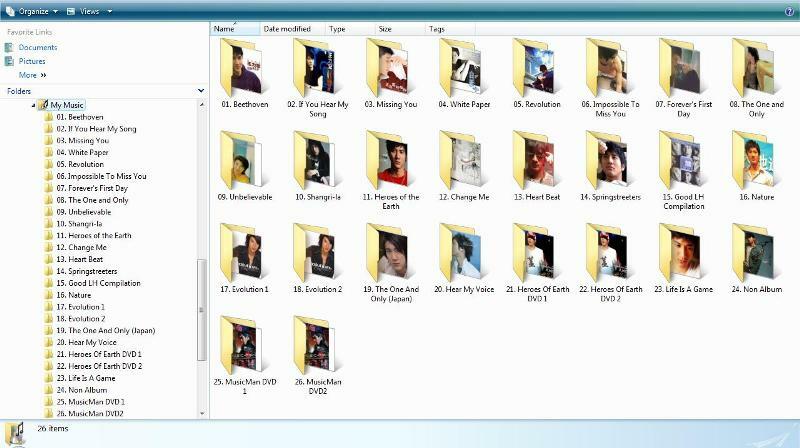 However, I was surprised to find out that most of them were not updated at all. They're stopped writing like 4 years ago ... 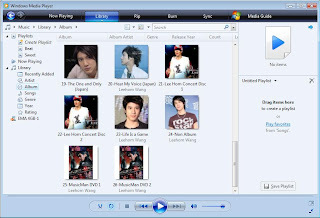 They were active only during Heroes of Earth album. What happened? Where are they now? 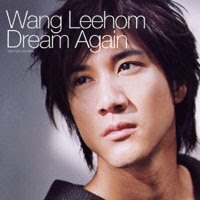 Are they still Leehom's fans? Is it only me now? 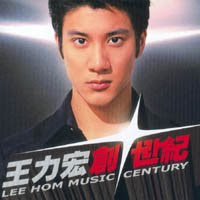 I've been a fan of Leehom since Sep 2006 and have never been able to stop myself from being a fan since then. The fan-things still go stronger within me, until today. Were they stopped being fans while I was starting becoming one? Okay.. here's my theory... 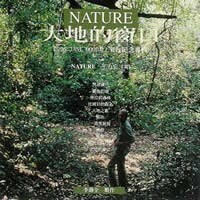 I can't find updated blogs because ... simply because, most of them are written in Chinese! 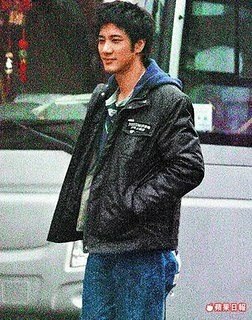 Leehom Wang was spotted celebrating with friends at a nightclub after filming was completed in Shanghai. 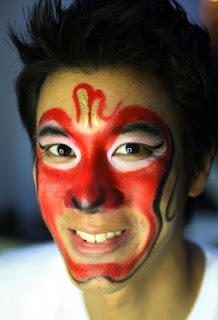 He seemed slightly drunk and initiated a hug with a woman dressed in red. The woman appeared to be around 30 and held onto him like a “Koala Bear”. Love Announcement's crew went to the Muse nightclub around midnight and didn’t leave until 6 am. The somewhat-drunk Leehom suddenly hugged a light-skinned woman who was dressed in red. A male friend looked on in shock as the two looked liked a pair of conjoined twins. 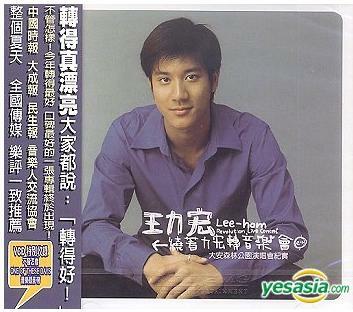 Leehom’s manager explained that there were about 150 staff members at the scene and the woman was his film editor Dou Dou. 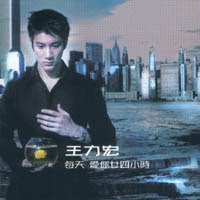 Leehom said everyone was like his comrade and his manager also pointed out that Dou Dou is already married. I want a hug like that too!! 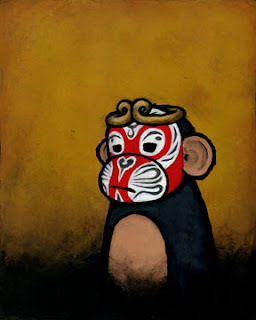 The Monkey King... in action!! LOL at the last picture! 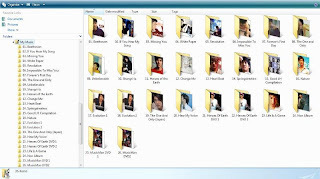 So, I tried to find it from Liu Yifei's fansite and .... it's there! 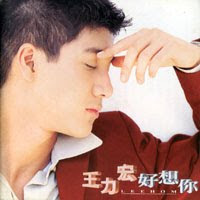 How come Leehom's fans were not as updated as Yifei's? 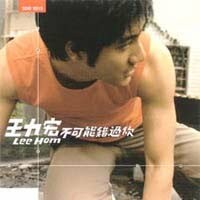 Are all Leehom's fans busy?? 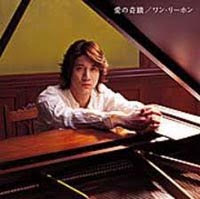 The main shooting of LOVE ANNOUNCEMENT has been completed in March 2010. Currently the film is in post-production and editing stage. 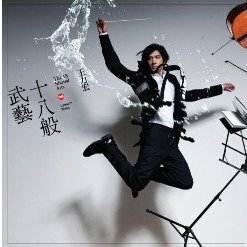 TAIPEI - POP musician Wang Lee Hom is blowing 35 million yuan (S$7.1 million) on his debut as a film director, says Apple Daily. 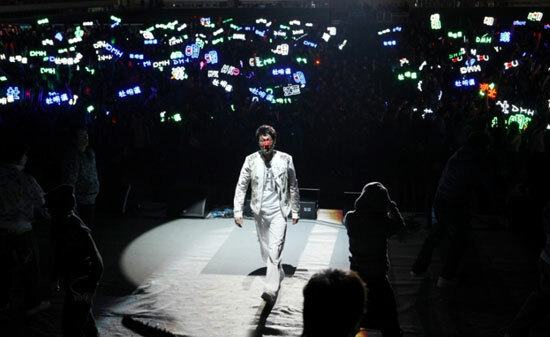 For the youth comedy Love Announcement, in which he plays a pop star, he spent 20 million yuan on a two-day shoot of a concert last month in Shanghai, the report says. 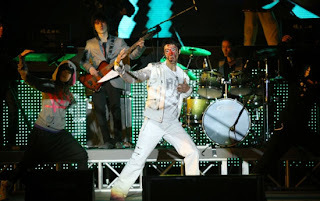 Free tickets to the March 27 show were given to fans through his website and about 35,000 of them became extras in the film. 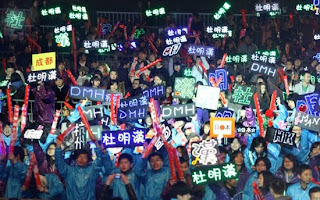 In a bit of acting, the fans from China, Hong Kong, Taiwan, Japan and South Korea had to shout not his name but that of his character, though. The concert was an East-meets-West affair like one of Wang's real-life shows, featuring Peking opera and hip-hop. 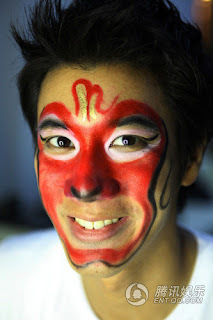 At one point, he showed up on stage in face paint as the Monkey King. 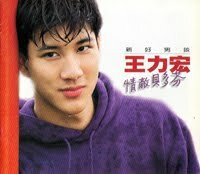 The movie will also star actresses Joan Chen and Liu Yifei. 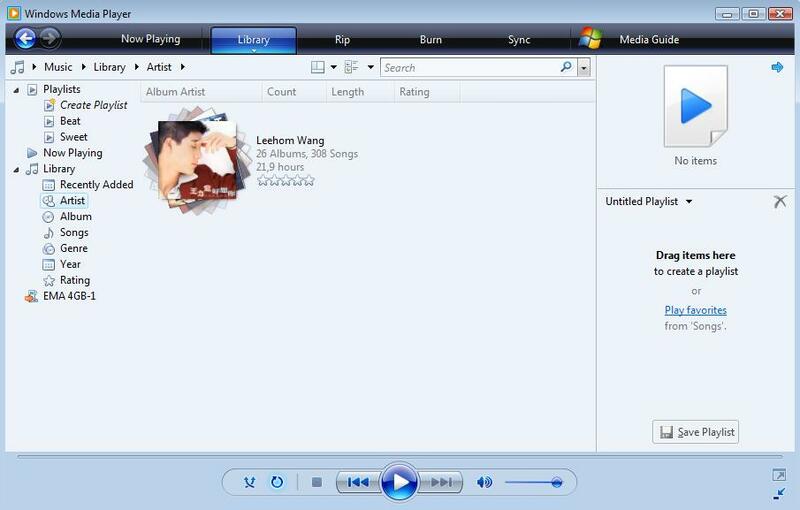 I was digging youtube looking for old Leehom's clips and found this. At first, I was just gonna 'favorite' this into my youtube channel, but I can't help it .. he's just sooooo adorable.. it was ssooo funny that I decided to post it here instead. 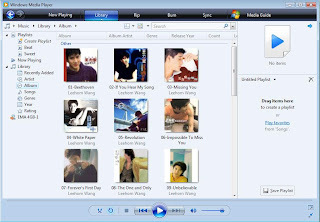 I will download and keep it.... for sure! These are Wang Leehom's PERSONAL ALBUMS. 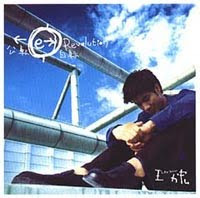 Revolution | MV | Live-Heroes of Earth Concert | Live "Acoustic"
My album collection is now complete! Thank you to those who helped!! 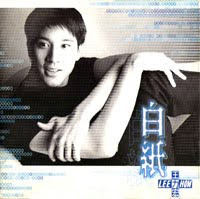 *PING* - BBM from Susi: check out the link, HOT news on Leehom!! 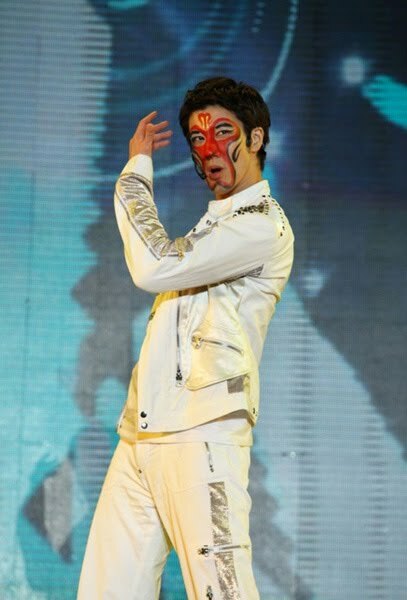 First-time movie director Leehom was caught behaving intimately with a woman in full public view at an event last month to celebrate the completion of his movie Love Announcement's shoot. 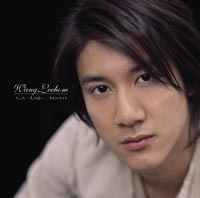 After the wrap party at Shanghai's Muse nightspot ended at around 6am, a tipsy-looking Leehom was seen throwing his arms around a fair-skinned woman, who looked to be around 30 years old. The two behaved as if they were unwilling to leave and clung onto each other for a while. He whispered into her ears and she returned the favour by holding his neck, before embracing him by the waist. 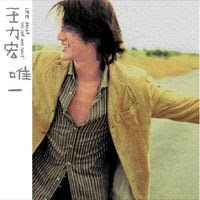 The good-looking singer-songwriter, one of the most coveted bachelors in the Mandopop scene, has previously been linked with singer A-mei, actress Shu Qi and his Lust, Caution co-star Tang Wei. 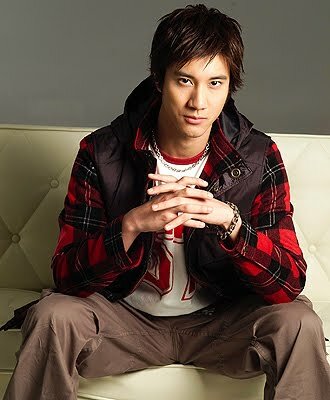 Leehom's agent responded on Monday that the woman in question is a film editor for Love Announcement who is married. She argued, "It wasn't intimate at all. Leehom says everyone is like comrades and possesses a special bond." Love Announcement will be the 33-year-old Leehom's directorial debut. 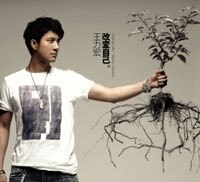 He stars in the NT$160 million (S$7 million) production opposite Chinese starlet Liu Yifei and Joan Chen, another Lust, Caution co-star. 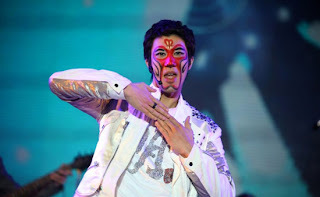 The Monkey King Leehom was interacting with his fans during the shooting break of Love Announcement. He needs lots of fans as extras at the movie. *impossible* how come he still looks hot and handsome in that monkey king make-up .. ck ck ck.. However, this clip was not part of the movie. 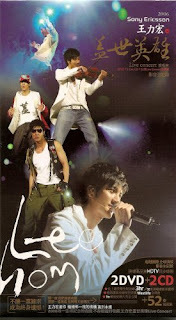 Lucky fans... and lucky Leehom. Coz.. 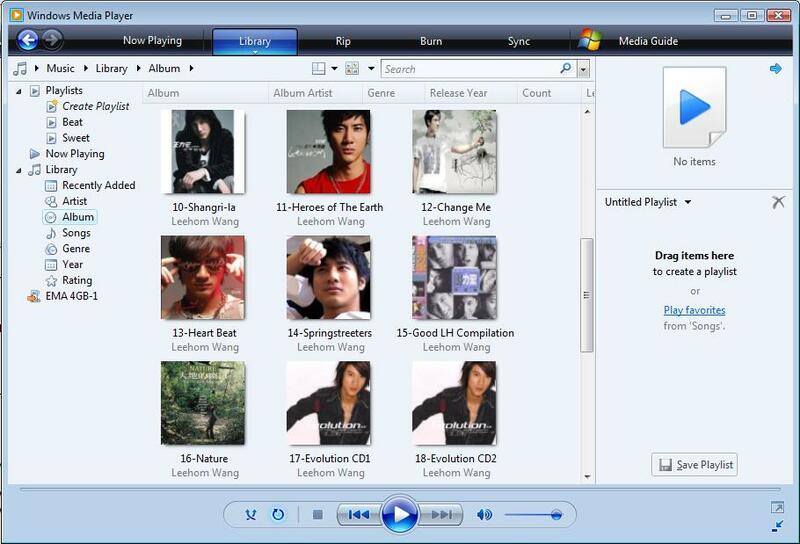 I really do have ONLY Leehom's songs in my list. LOL!